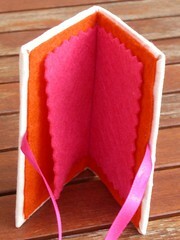 Needle case is 4″ x 3″ with orange and pink felt interior and hand stitching detail. Leave a post with your email if you’re interested. I accept Paypal and UK sterling cheques. 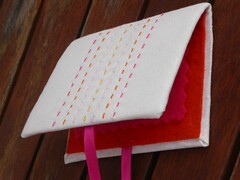 £7.00 plus postage – 60p to Europe, £1.05 to USA/Canada, £1.12 to Asia/Australia.